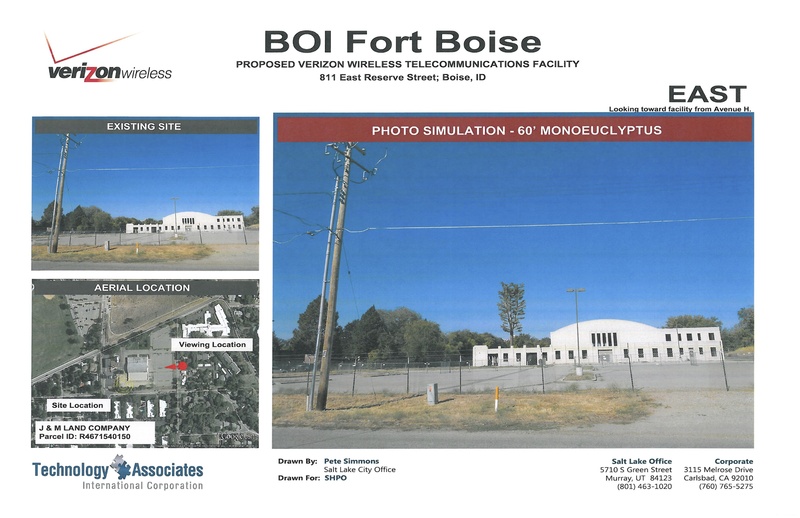 We reported on the initial application from Verizon to construct a cell tower between the Armory and the Fire station to the west. 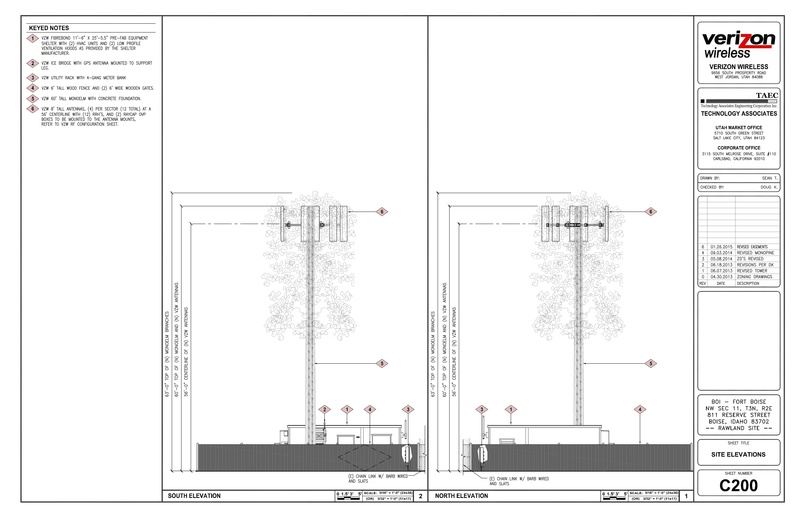 The original application called for an 80′ tower and at the time we were told that a stealth tower (disguised as a tree or giant lumberjack) wouldn’t be allowed. 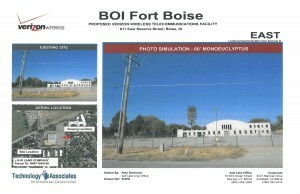 Thanks to the folks at the State Historic Preservation Office and the City of Boise , all that has changed. 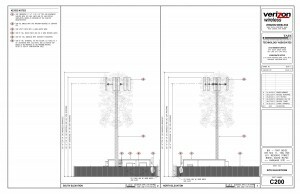 Work has started on the foundation and infrastructure for the tower under a “conditional use permit for a wireless communication facility that includes a “65-foot tall monopole designed to resemble a tree.” Zoning for the Armory is a C-2/DA (General Commercial with a Development Agreement) zone. 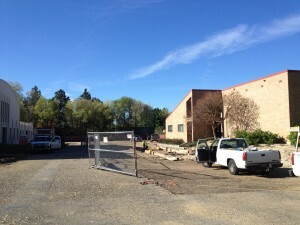 A variance to reduce the side yard setback is included” to reduce the impact on the Armory property. Excavation to the east of the Reserve Street Fire Station to route utilities to cell tower site. See attachments for plan views and representations. This entry was posted in Reference on April 26, 2015 .